This time last year, I didn’t have a clue what I was doing. I knew that I would be moving to Los Angeles to attend the USC Viterbi School of Engineering, and that was about it. My major was listed as Electrical Engineering, but that was only because I thought my application reflected best on my abilities with electronics. I spent the summer fretting, wondering how long it would take everyone to notice that I hadn’t any idea what to do. A week after arriving at USC, I attended an “Involvement Fair” where various student groups were recruiting new members. 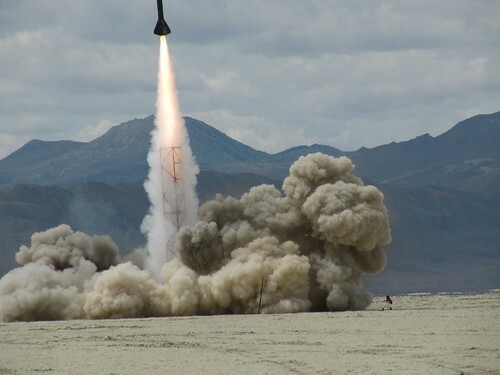 Perhaps it was fate, or perhaps it was the enormous carbon fiber rocket that drew me to talk to the representatives from the USC Rocket Propulsion Laboratory (USCRPL). Whatever the reason, I signed up for their newsletter and added their first meeting to my calendar. I also signed up for Introduction to Astronautical Engineering, the 101 course in USC’s one-of-a-kind Astronautical Engineering department. All introductory engineering courses are interchangeable at USC, so I thought that it couldn’t hurt to try something a little different. ASTE 101 is taught by the inimitable Doctor Daniel Erwin, who is also the department chair. He sold me on the major in roughly one class period, and continued to be my favorite professor for the entire semester. The first Rocket Lab meeting was exciting, and I loved the atmosphere of the group. I made myself give it a shot, and after a few days of working in the lab, I was absolutely hooked. I had found my people, and my calling. I was going to be a part of the first undergraduate group to send a rocket to space. 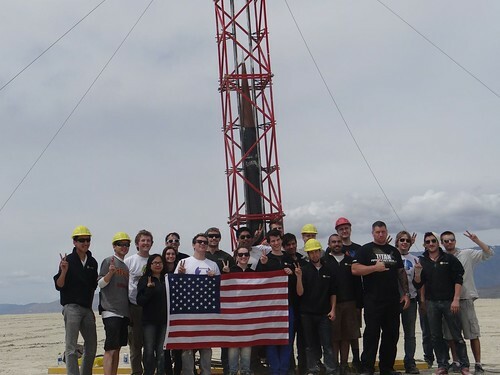 After a whirlwind month in the lab, I was with the group in the desolate Black Rock Desert, preparing to launch our first space-shot rocket, Traveler. Traveler didn’t reach space, but the experience was amazing. The first thing I did after getting back to campus (after taking a shower, of course) was declare my major as Astronautical Engineering. I committed to space. Fast-forward to March, and I had applied for an internship at the private space startup Blue Origin. After a harrowing phone interview conducted the hour before a midterm (while I had a bad cold, to boot), I was offered a summer job. I’ll be working on avionics when I start there this coming week. But before we all left for the summer, the Rocket Lab had one more project to finish. Traveler II, a rebuilt version of the original Traveler space shot, had been in-progress since October. The build was slowed by manufacturing difficulties, financial woes, and the need to move our entire lab space. In the end, we left the lab at 9:30 PM on Saturday, May 17th – roughly 24 hours after our planned departure time. We set up the vehicle in Black Rock, this time with an avionics system that I had been working on non-stop with my unfailing compatriots Adam Rising and Ian Heidenberger for months on end. After delaying the launch by a day to triple-check the wiring of the recovery (parachute) system, Traveler II took to the skies midday on Monday. The rocket exploded after only two seconds of flight, which was certainly a disappointment for everyone. But even in the face of such terrible news, the team was optimistic. I didn’t see a single tear shed among us, though anyone would have been forgiven for falling apart after so many sleepless nights. Instead of wallowing in failure, discussions immediately turned to our next flight, how to improve our processes, and how to work better as a team. I’m truly honored to be a part of such a fantastic group of people. Somewhere along the way, something else unexpected happened: I fell in love. I met Megan in the Rocket Lab, and we’ve been dating since February. I know it hasn’t been very long yet, but I’m confident that our relationship will last. While falling in love was certainly a complication in my otherwise-impeccable plan, I can’t say that I have any problems with it. It has been wonderful to have someone with me through all the ups and downs. Now it’s been almost a year since I last wrote on this site, and I thought it was about time for an update. It’s been a year of adventures, love, science, engineering, and space. And everyone has yet to notice that I still don’t have a clue what I’m doing.